Our skin typically take 4 weeks to complete a cycle of cell renewal process where the old skin cells shed and fall off and reveal newer skin underneath. When we age this process slows down considerably and on more mature or damaged skin, it can take up to 6 weeks for the cycle to complete. Regardless of our skin’s age, we sometimes need a helping hand to ensure the top layer dead skin cells are moved off so that our complexion can be smooth and radiant. I recently put a product that does exactly that to the test and am loving the results! A light cream with a faint floral fragrance, it has a luxurious texture and goes on smoothly, absorbing into skin effortlessly without any tacky or sticky feeling. With anti-oxidant Vitamin c (sodium ascorbyl phosphate, a stable and gentle version of vitamin C), is a skin brightener and pigment producing inhibitor. It also functions as a sunscreen (studies have should that it can give SPF2 protection by increasing the skin’s natural defence to incidental sun exposure). I’d however, advise topping up with a higher SPF sunscreen to avoid getting burnt and further skin damage as we all know what the sun can do on a daily basis to pre-maturely age skin. 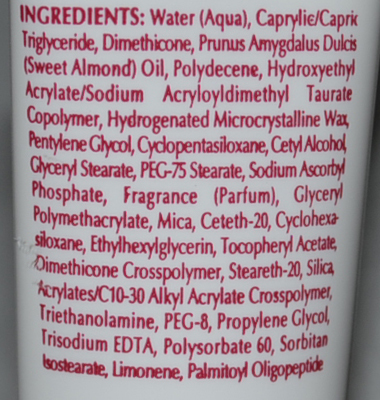 Also contain vitamin A and E and soybean extract to hydrate and refine’s skin’s texture. After a month’s use during AM and PM under moisturisers, my skin feels and looks visibly firmer, and the fine lines appear lighter. There is smoothness and radiance like I’ve just visited a spa and had a facial. 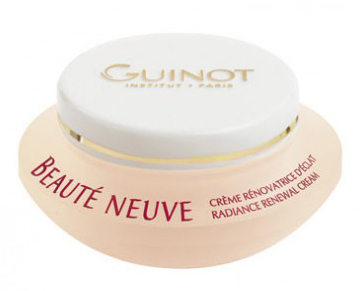 If you’re after the radiant effects of a spa in a jar, then this jar of Beaute Neuve renewal radiance cream will do it gently and give you the facial effect every day. I highly recommend it. RRP A$120 at Guinot salon and Adore Beauty online. A sample of this product was provided for consideration. Sounds like you're getting some great results Amy! 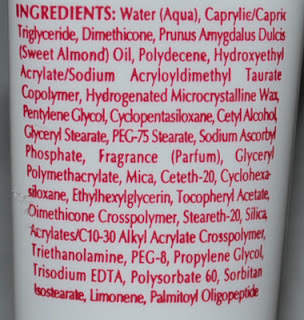 I wonder if Sodium Ascorbyl Phosphate is anything like Magnesium Ascorbyl Phosphate? @Jen, the research so far seems to indicate that MAP is a more stable version that the LAA one so I can only assume it is similar to SAP but MAP seems to liquify creams and change the textures of it whereas SAP doesn't so is more popular with the cosmetic companies? Either way vitamin C is the way to go for skin brightening and radiance!